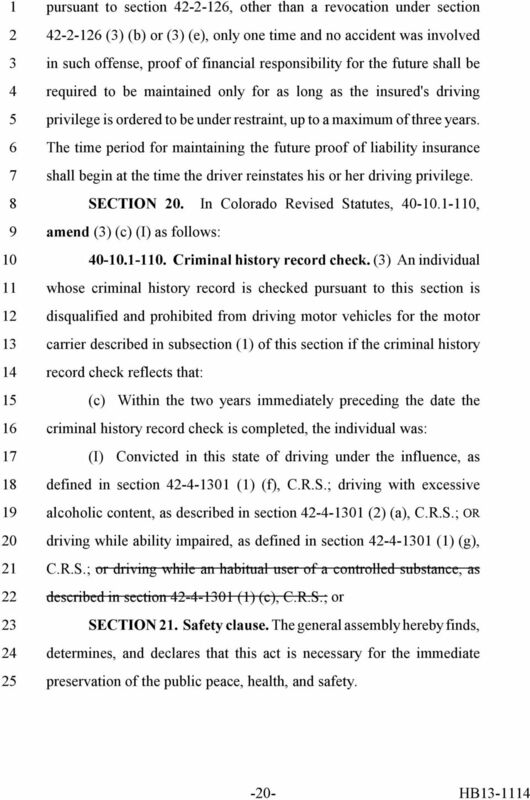 Download "First Regular Session Sixty-ninth General Assembly STATE OF COLORADO INTRODUCED SENATE SPONSORSHIP"
1 First Regular Session Sixty-ninth General Assembly STATE OF COLORADO INTRODUCED LLS NO Richard Sweetman x HOUSE BILL -1 HOUSE SPONSORSHIP Waller and Fields, (None), SENATE SPONSORSHIP House Committees Judiciary Senate Committees 1 A BILL FOR AN ACT CONCERNING PENALTIES FOR PERSONS WHO DRIVE WHILE UNDER THE INFLUENCE OF ALCOHOL OR DRUGS. 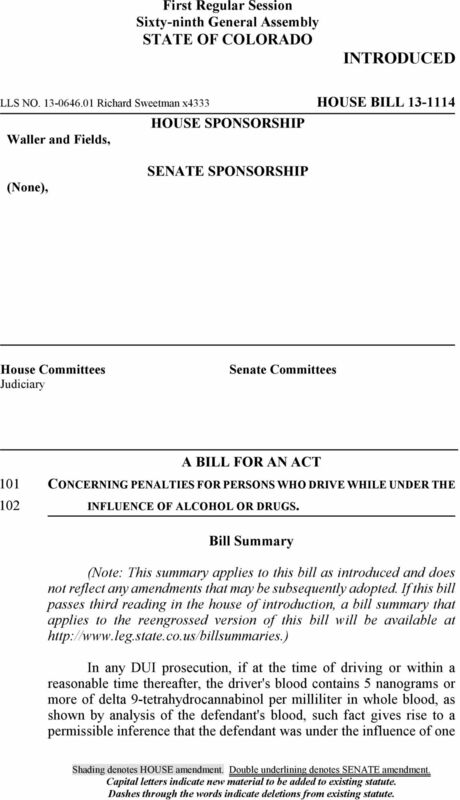 Bill Summary (Note: This summary applies to this bill as introduced and does not reflect any amendments that may be subsequently adopted. 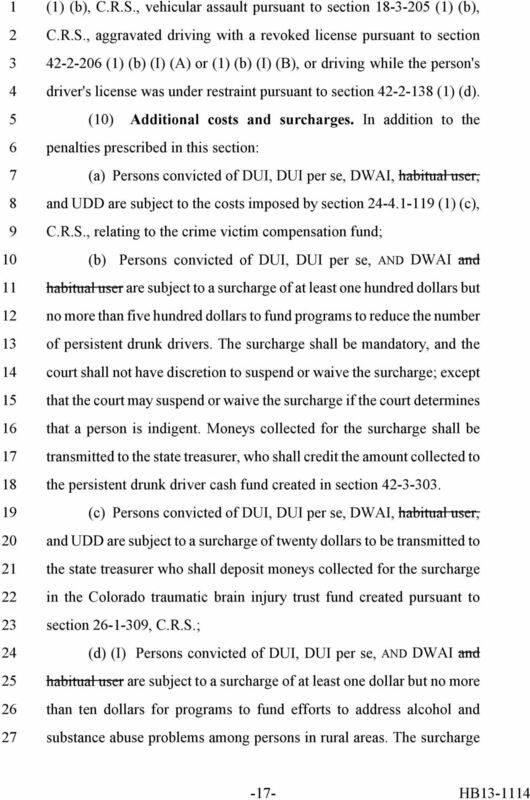 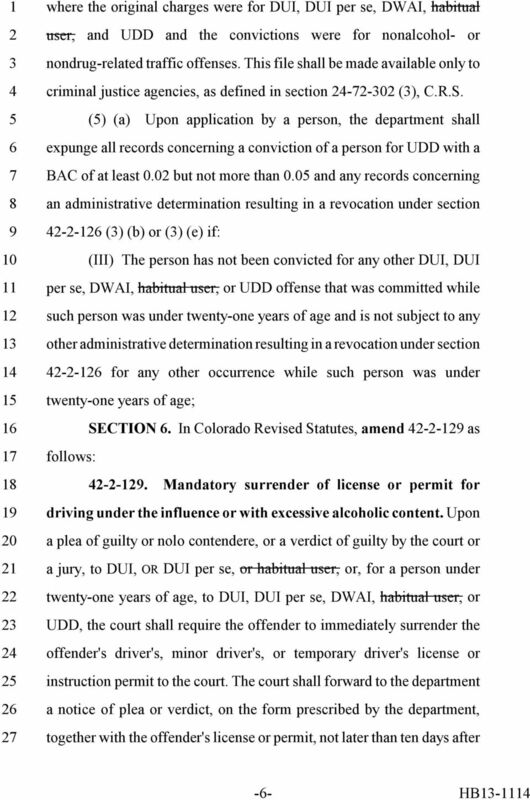 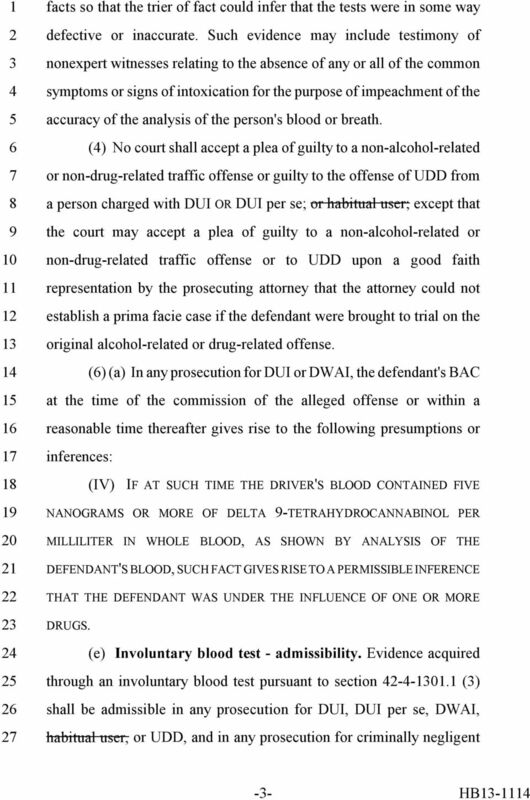 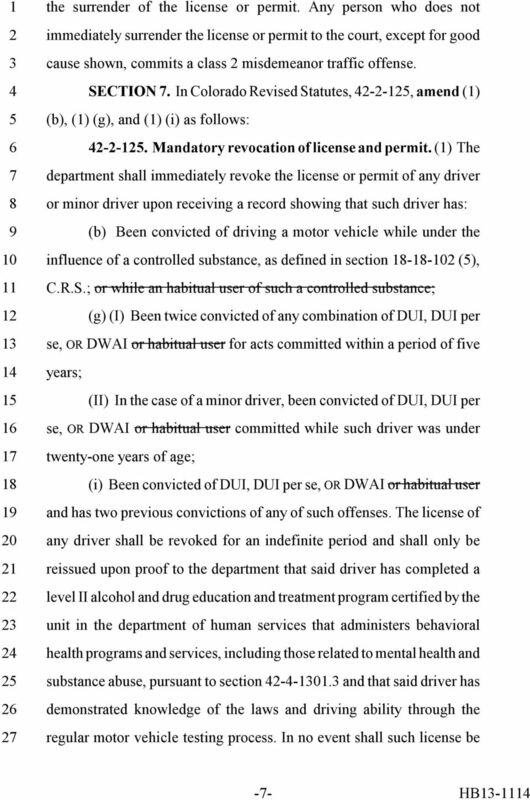 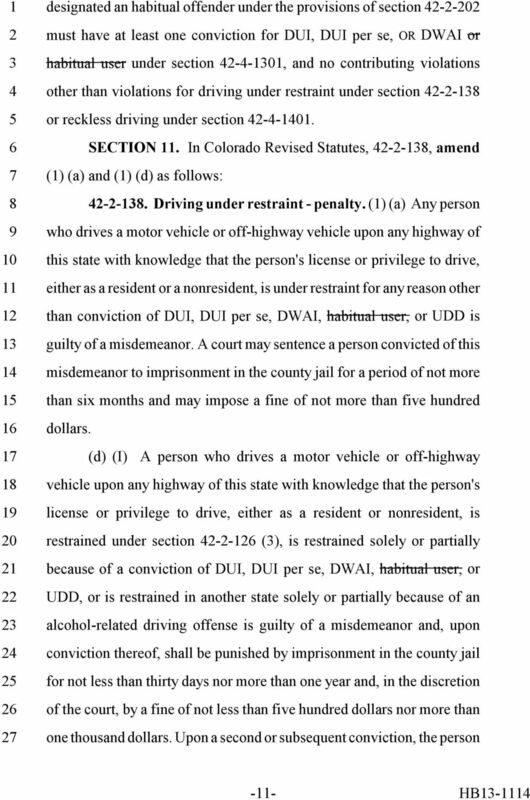 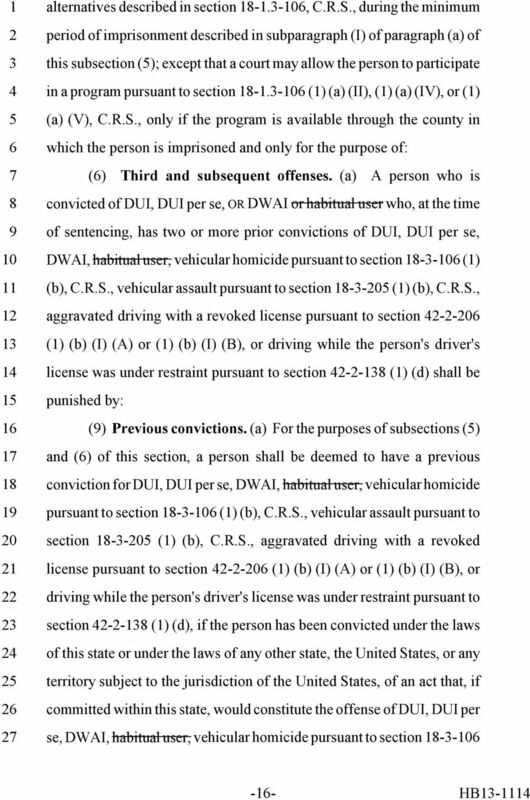 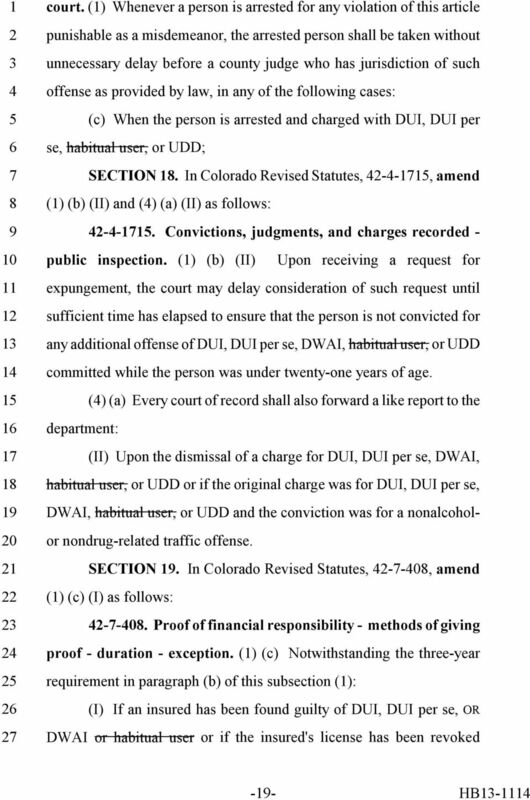 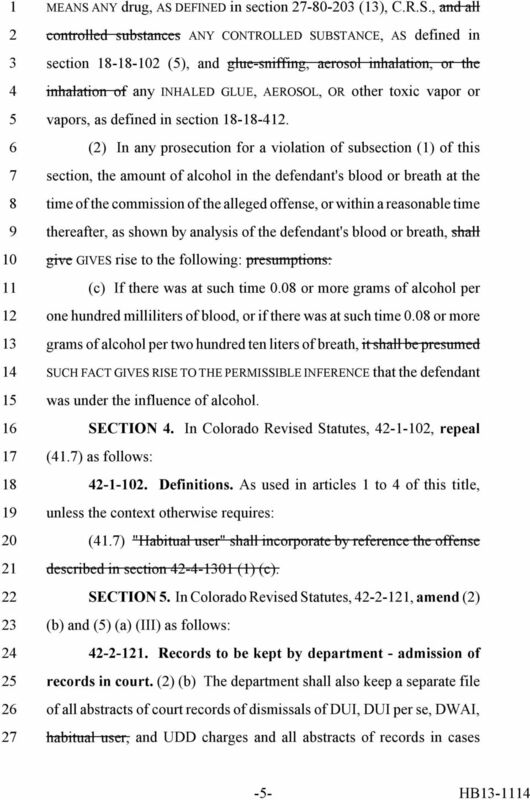 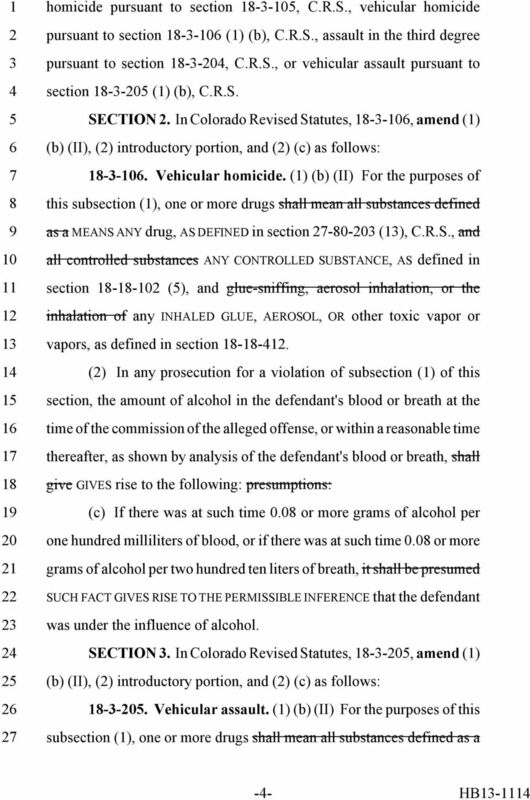 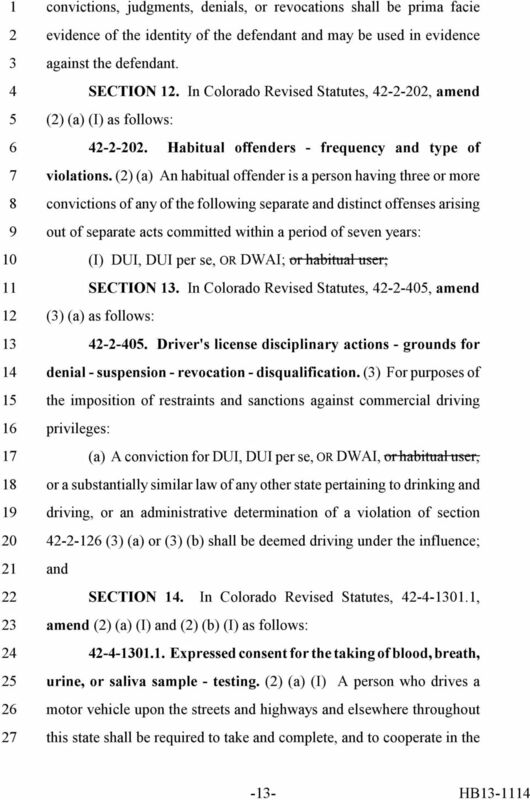 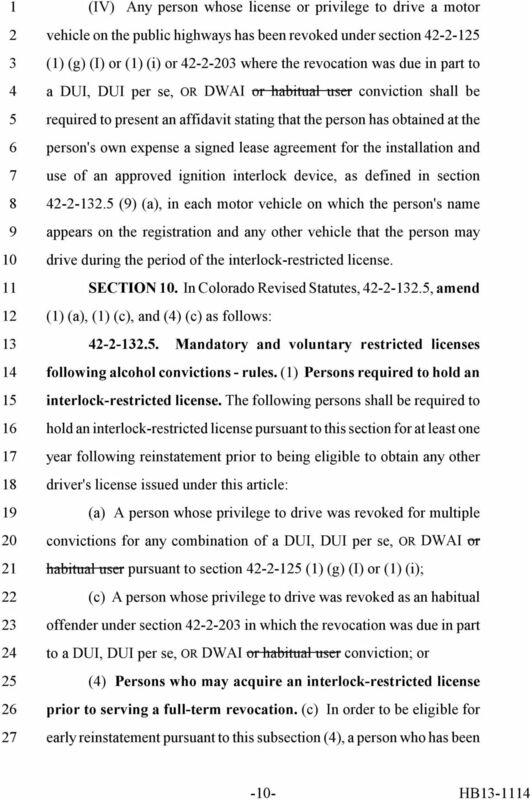 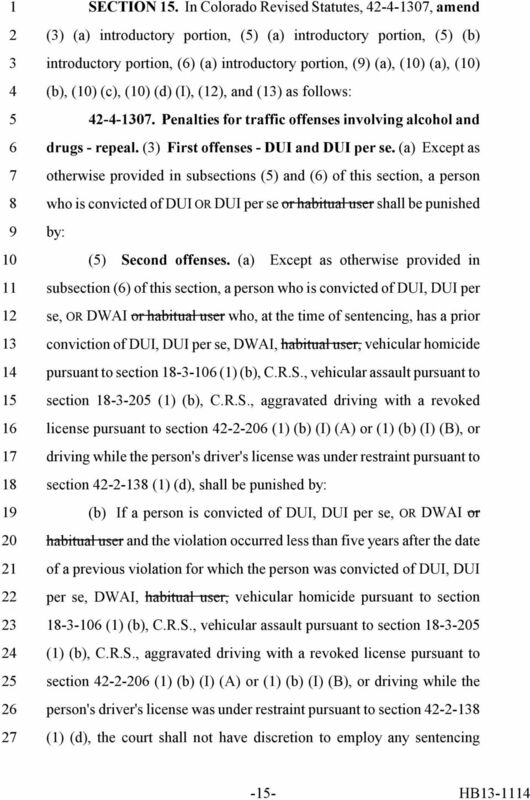 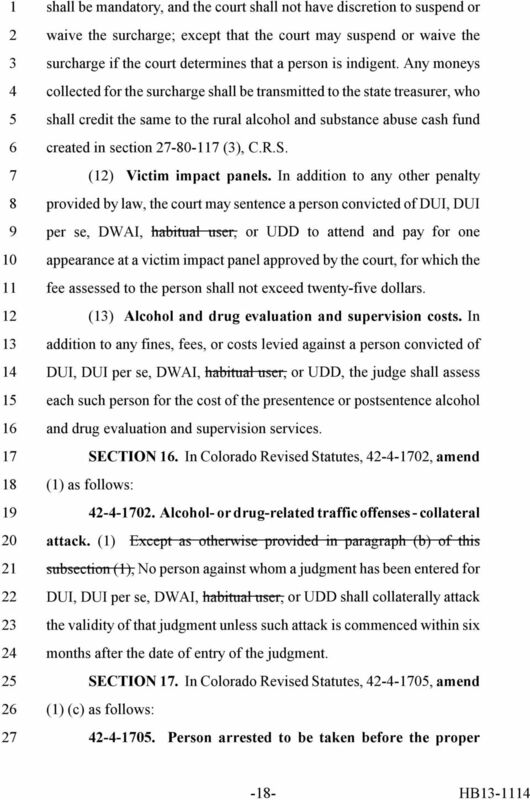 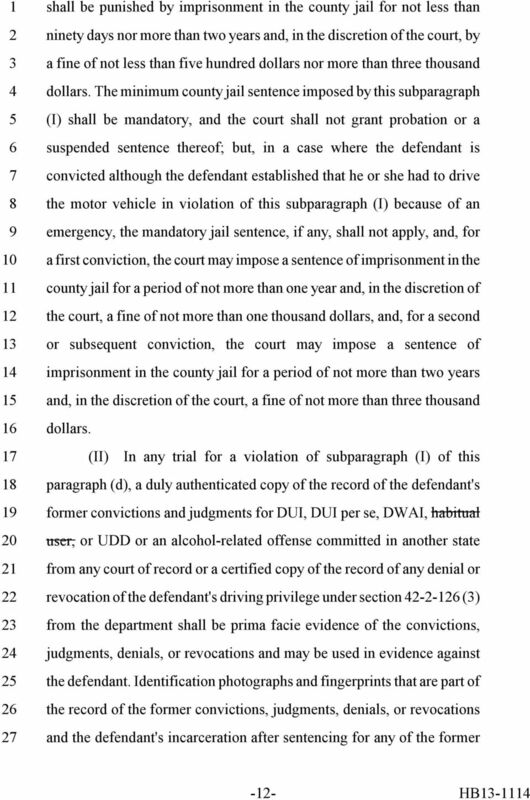 If this bill passes third reading in the house of introduction, a bill summary that applies to the reengrossed version of this bill will be available at In any DUI prosecution, if at the time of driving or within a reasonable time thereafter, the driver's blood contains nanograms or more of delta -tetrahydrocannabinol per milliliter in whole blood, as shown by analysis of the defendant's blood, such fact gives rise to a permissible inference that the defendant was under the influence of one Shading denotes HOUSE amendment. 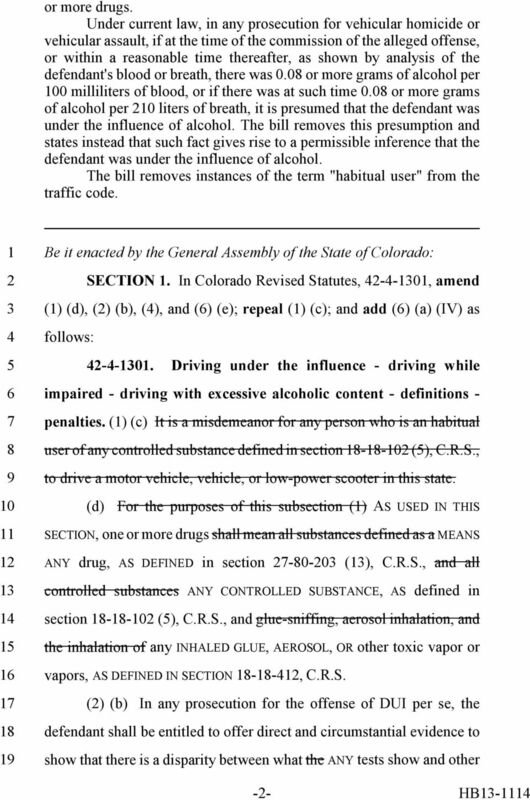 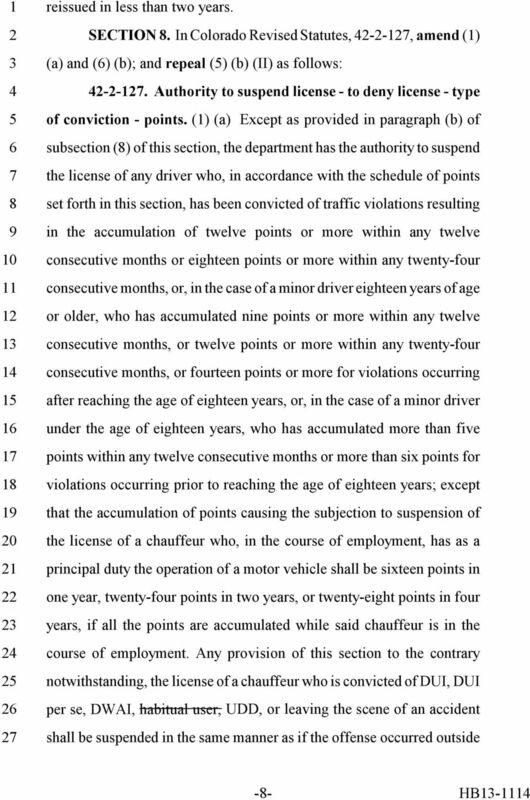 Double underlining denotes SENATE amendment. 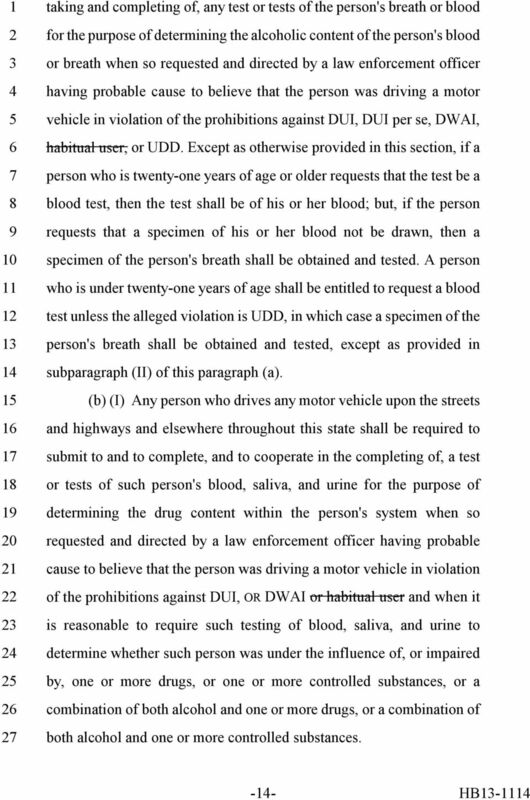 Capital letters indicate new material to be added to existing statute. 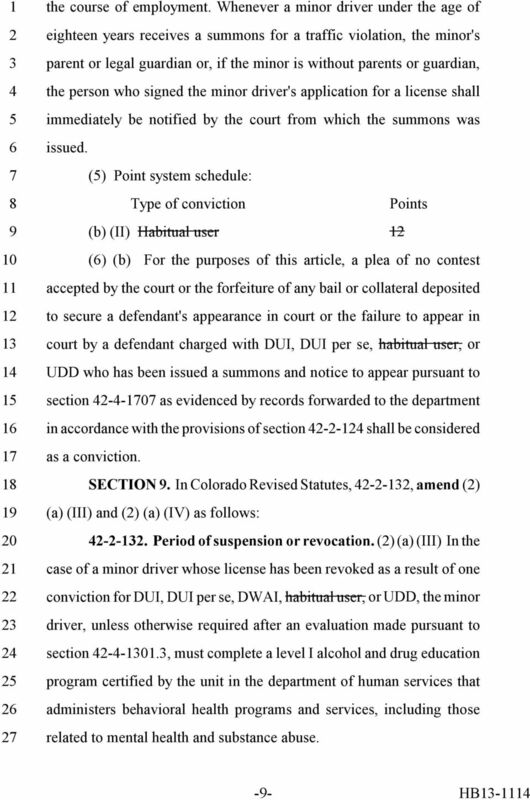 Dashes through the words indicate deletions from existing statute.